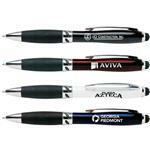 The Zentrio is a best selling multi function pen. Perfect 3-in-1 gift for the multi-tasker. Quickly and easily changes from function to function. 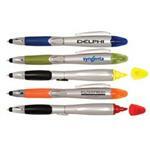 Handy stylus tip and smooth writing pen at one end. Remove cap to use bright and powerful LED flashlight. Black ink cartridge only. 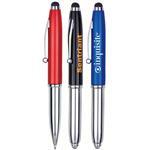 Order our multi light function pen and impress all at the tradeshow! Perfect 3-in-1 gift for the multi-tasker. Quickly and easily changes from function to function. 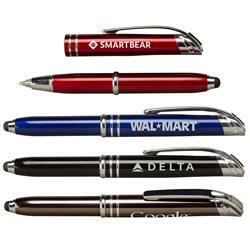 Handy stylus tip and smooth writing pen at one end. Remove cap to use bright and powerful LED flashlight. Black ink only.